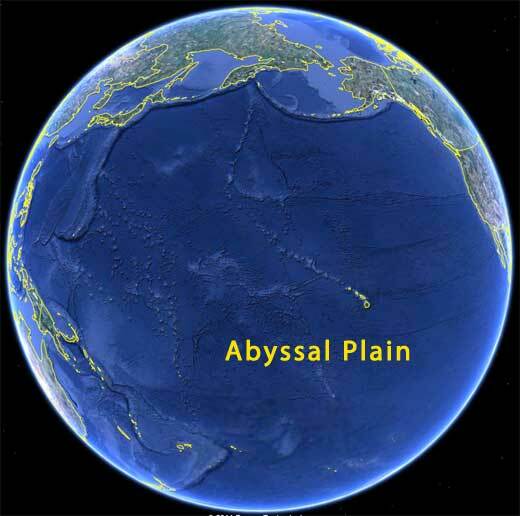 The vast majority of the real estate at the bottom of the sea is a relatively flat expanse of level floor called the abyssal plain. 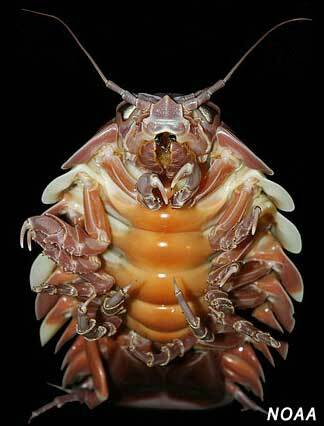 It averages over two miles deep and accounts for as much 79% of the sea floor over the entire planet. The top layer of sediment found on the surface of the abyssal plain is rich in organic matter that has drifted down from above and contains the remains of virtually everything that lives in the upper reaches to the midwater ranges of the ocean. All creatures that spend their lives at sea are also buried at sea, their remains being eaten by other organisms, or left to sink downward to the abyss. This organically rich muck supports untold numbers of species whose diet thrives on the crumbs and the leftovers that have settled into the mud of the seabed.